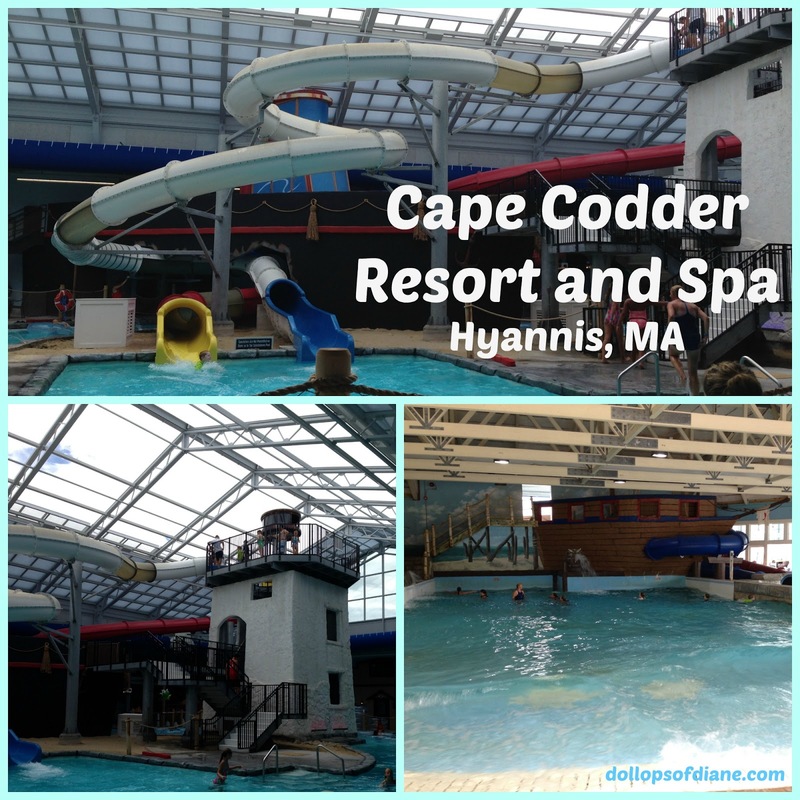 Yesterday, the kids and I headed down to Hyannis to check out the recently renovated water park at the Cape Codder Resort and Spa. Although we had never seen the "before" version, we definitely loved the "after"! They've added an additional 20,000 square feet to the facility with a clear, retractable roof which turns the indoors into the outdoors on nice days. It was really cool. Make sure you pack the sunblock though as it does get sunny in there. They have 4 full enclosed tube slides (2 in each room) which the kids loved. My kids have really turned into water slide junkies this summer! They also have their version of a lazy river which is rightfully named the Stormy River since you'll definitely get wet under several sprayers! 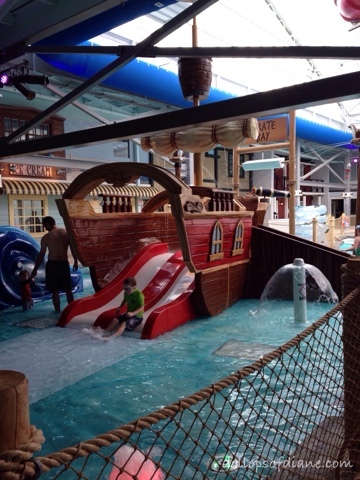 Pirate's Bay Kiddie Area is safe place for those younger kids to hang out and enjoy splashing with small slides. 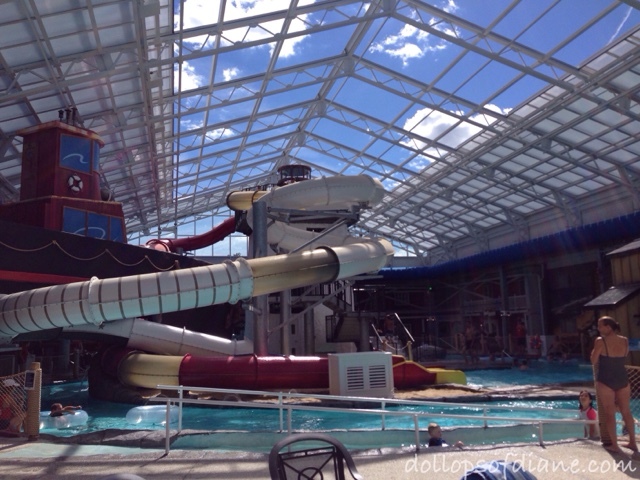 There's also a 10,000 square foot Wave Pool as well as a whirlpool and sauna. A little something for everyone! The Water Park area has the Gazebo Cafe selling snacks, simple meals, desserts, and beverages. Changing areas with showers are available in the water park area as well. The park is open 9am - 9pm for guests of the Resort. 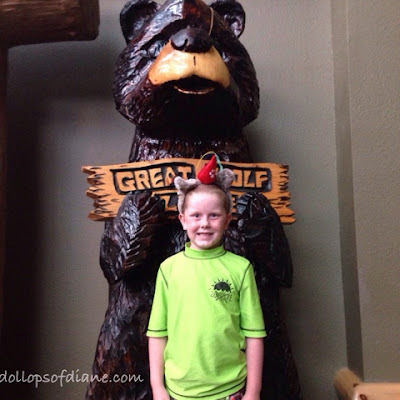 Day passes are available for $40/person; $30 per child under 48." You can find out more information about the water park by clicking here. We made a day of it by swimming/playing for a couple of hours and then stopping for lunch. 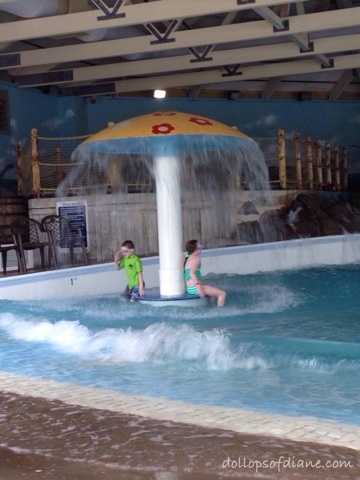 We then headed back in for some more water fun before stopping for an ice cream treat. We then finished up with some time in the outdoor pool followed by dinner (in the hotel restaurant). Can you sense a theme here? Swim, eat, swim, eat, swim, eat. We visited the outdoor pool at the end and it is pretty neat. 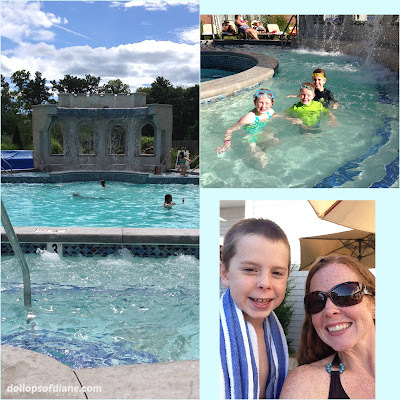 It is a salt water pool located away from the water park area and get ready for this - it's open year round. 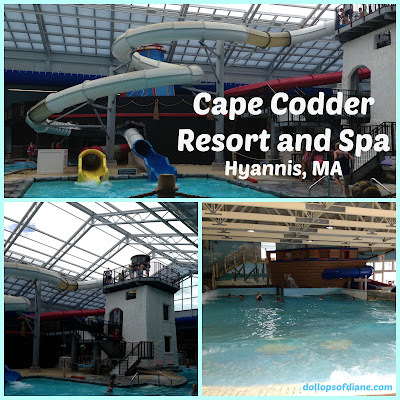 Yup, an outdoor pool on the Cape that's open year round. So fun! While we were at the Resort we were also able to check out a few of the guests rooms, the new family suites, and their Luxury Residences. The Resort also offers a lot of family fun with a daily schedule of live music, outdoor movies, reptile shows, bonfires, and more. You can check out upcoming special events here. You can also like them on Facebook here. 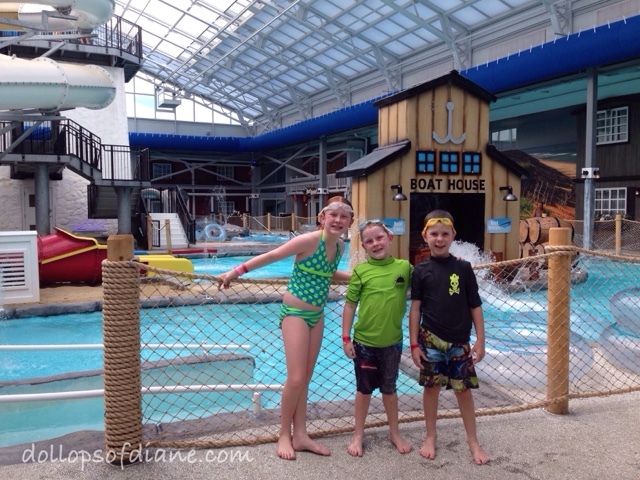 *Disclosure: My family received complimentary tickets to the Water Park and lunch. As always, all opinions are my own. Summer is all about the grill. It's an easy, fast way to cook up dinner or the basis of a fun afternoon with friends and family. Although summer is more than half way through (NOOOOO!!!! ), there's still plenty of time for you to get your grill on. Stop & Shop's nutritionist, Julie Hersey, MS, RD, LD, offers some great tips (with links to recipes) for some added inspiration. 1. Use foil pouches for easy clean up - Grill in or on foil for less smoke and charring. You can find non-sticking aluminum foil coated specifically for grilling. Fold up the sides to create a packet where the inside cooks by steaming. Try making a classic combination, steak and peppers. 2. What’s the best way to grill produce? Invest in a grill basket - perfect for hard-to-handle items like asparagus, cherry tomatoes and grapes. 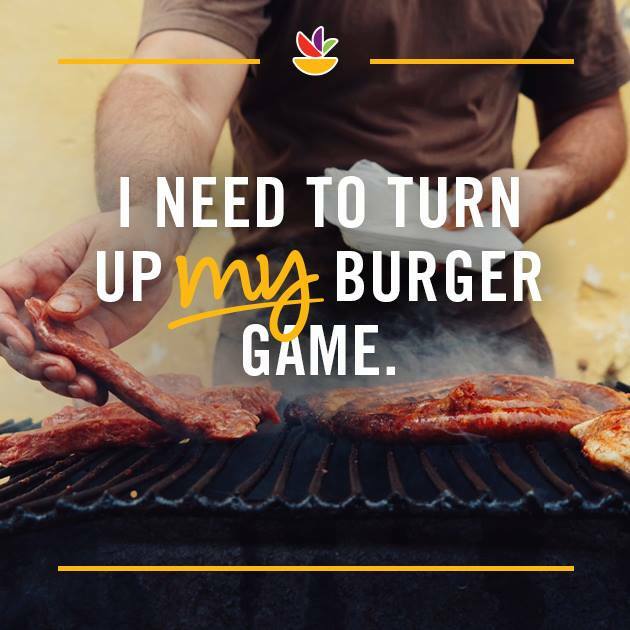 Look for grilling options around your local store. Save some prep time at your next BBQ by buying pre-cut, grill-ready options in the produce department. 3. Plank for seafood. Plank grilling takes the difficulty out of grilling whole fish or filets. The most common wood is cedar, but others like oak, maple, cherry or apple also work well. Stop & Shop offers planks in their seafood department, and all of Stop & Shop’s seafood offerings are 100% sustainably and responsibly sourced. For a dish that sounds gourmet but is easy to cook, try cooking a plank grilled salmon with lemon and herbs. 4. To kabob or not to kabob? Pick up a set of metal or wooden skewers to thread a variety of colors using your favorite proteins, veggies and fruits. For even cooking, cut into equal sizes, leave a bit of room between pieces and thread one skewer with the same ingredient. To limit splinters and charring, soak wooden skewers in cold water for 30 minutes before using. Try giving your kabobs a citrus kick, using this lemon zest recipe. 5. Take risks when layering the flavor. Use your favorite salad dressings, marinades, hummus and fresh citrus juice to lighten up the smoky flavor of the grill. Mix a quick creamy dressing with olive oil, citrus, hummus or guacamole and herbs to drizzle over meat and veggies just before serving. For an out-of-the-box way to dress up your dish, try this avocado-lime recipe. *I received a complimentary cooler full of BBQ essentials from Stop and Shop. As always, all opinions are my own.